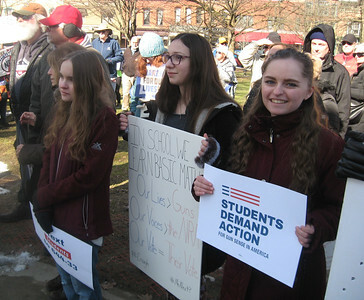 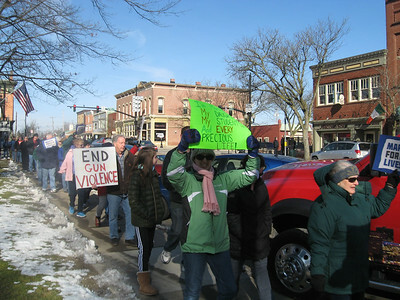 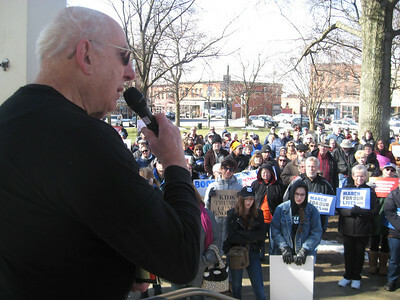 BOB SANDRICK / GAZETTE Demonstrators favoring stricter gun regulations rally Saturday morning on Public Square in Medina. 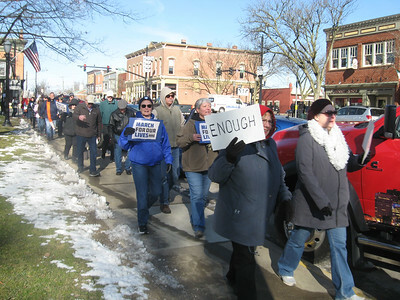 BOB SANDRICK / GAZETTE Westfield Township resident Bill Thombs, a retired educator who helped organize the March for Our Lives event Saturday in Medina, said he did not expect to see so many people at the rally. 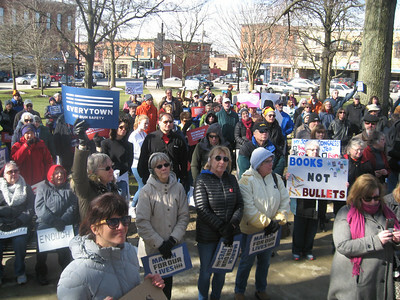 BOB SANDRICK / GAZETTE Demonstrators favoring stricter gun regulations march around Public Square on Saturday morning in Medina. 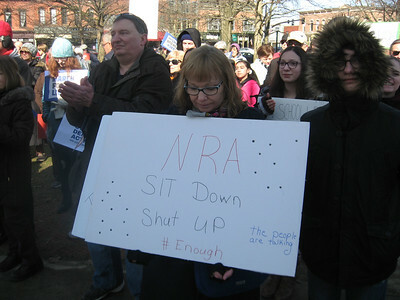 They were taking part in the March for Our Lives campaign occurring throughout the nation. 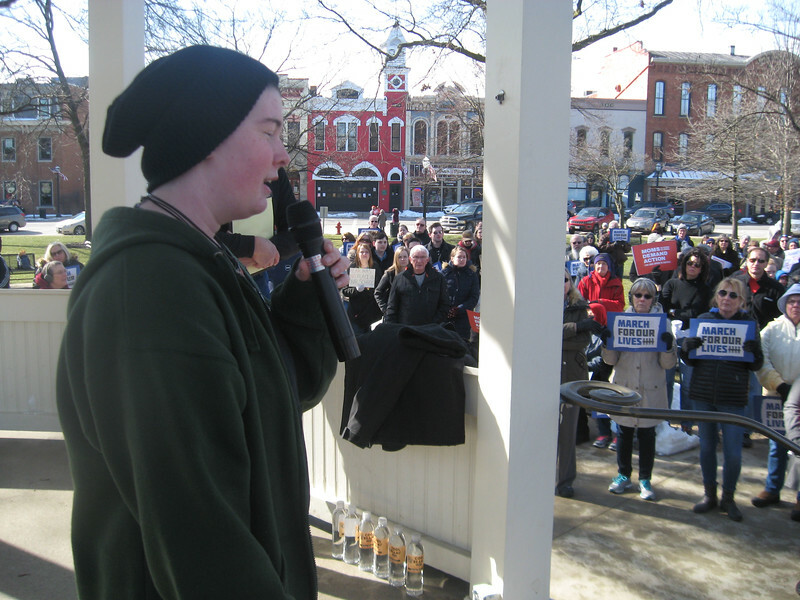 BOB SANDRICK / GAZETTE Ilsa Miller, a Brunswick High School student, addresses the crowd at Saturday's March for Our Lives rally on Public Square in Medina. 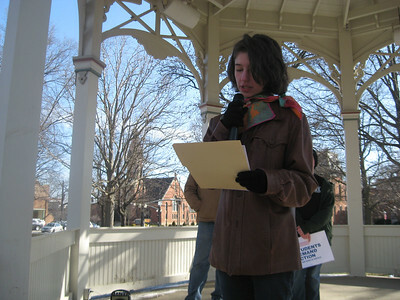 032418Medina MarchBS13 Dagny Sacksteder, a student at Highland High School, speaks at Saturday's March for Our Lives rally on Public Square in Medina. 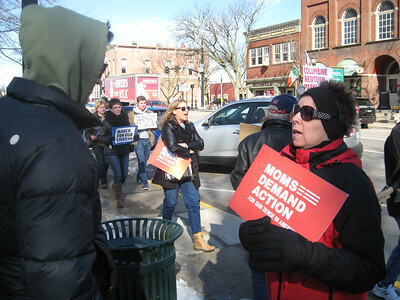 BOB SANDRICK / GAZETTE Jackie Thompson, right, of North Royalton, a pro-gun-control demonstrator, has a civil debate with an anonymous Second Amendment counter-demonstrator Saturday during the March for Our Lives rally on Public Square in Medina. Ilsa Miller, a Brunswick High School student, addresses the crowd at Saturday's March for Our Lives rally on Public Square in Medina.